Chum Kiu Station come complete with 5 rice filled heavy duct canvas bags located in all directions. 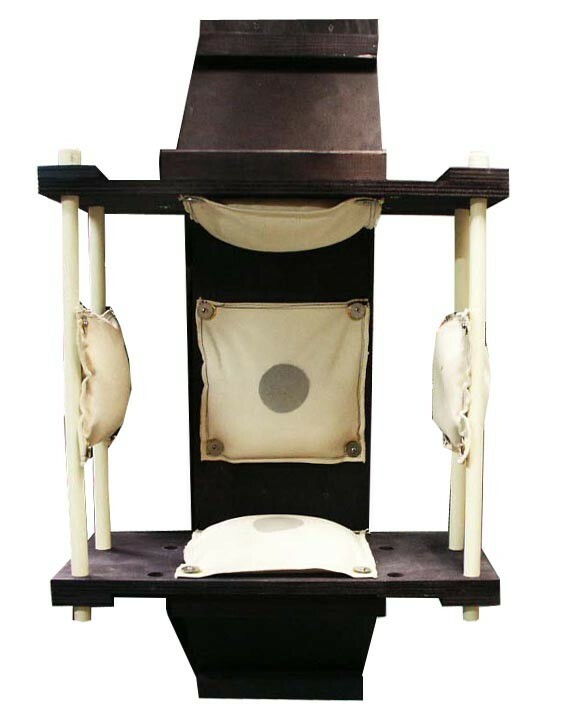 You have three 11 inch bags located at upper, forward, and bottom locations. The you have two 8.5 inch bags located right and left. 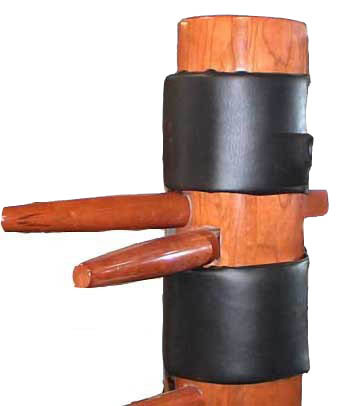 This device is excellent for the strengthening and conditioning of the hands and wrist, as well as development of proper techniques for most Kung Fu style Arts. 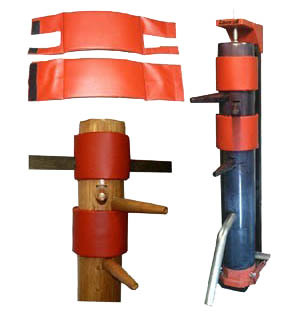 As indicated in photo below, the side bags can be set at 12 or 18 inchs apart for short and long range development. Also an additional head bag can be added for an extra $25.00.